OverDrive is a platform that distributes e-books and audiobooks to libraries. There are tens of thousands of libraries in the United States alone, which means that distribution with OverDrive could get your books into the hands of many potential readers. The main caveat is that OverDrive is very selective of the authors it chooses to include in its platform. Unsurprisingly, most of the books in OverDrive were placed there by traditional publishing company. If you have over a dozen audiobooks available, you are more likely to get accepted into OverDrive’s catalog than if you have one alone. Even if you have 30 books available in audio format, there’s no guarantee that OverDrive will select you. If you have a nonexclusive contract with Audible, then there’s no harm in applying to OverDrive, just make sure that you don’t get your hopes up. Audiobooks.com and Downpour are the number two and number three audiobook only subscription services in the US. They are the second banana and third banana to Audible by far. That being said, with rapid growth of the audiobook industry, there may be promise in trying to get your self-published audiobooks on these two platforms. According to a late 2014 chat on Reddit, Audiobooks.com’s CEO said that authors will soon be able to list their books on the platform using the Recordio app. The app allows you to record your audiobook using a mobile device. The conversation did not mention self-published audiobooks produced professionally being included on the platform. It is likely that you’ll need to negotiate individually with both Audiobooks.com and Downpour if you hope to get your books on those platforms. Once again, if you have a nonexclusive contract through Audible, this may or may not be worth your efforts. At the time of this article, there are no known success stories of indie authors on either platform. CD Baby is a platform best known for its distribution of indie music. By giving up a small portion of their royalties, indie musicians are able to post their albums to Amazon, iTunes, and other platforms. In a guest post on Jane Friedman’s blog, author Lee Stephen discussed using CD Baby to publish his audiobook without going through ACX. While Stephen was able to obtain pricing control, better sound quality, and a higher royalty rate from his books, there were a few drawbacks. Since CD Baby doesn’t usually handle audiobooks, it places the books into Amazon’s spoken word category. Because of this issue, Stephen decided to use CD Baby for direct sales only. By circumventing Audible, the CD Baby method also keeps your books from being accessible through the convenient Audible app. If you plan on only selling your book direct to your fans, and you don’t want to deal with a file sharing service, CD Baby may be a viable option for you. Making money off your audiobooks may not be your primary concern. In fact, you may be more interested in using the medium as a lead generator than as a separate source of income. If that’s the case, you can use platforms like Podiobooks, SoundCloud, and Internet Archive. Podiobooks provides a service much like its name by allowing you to release free chapters of your book like you might a podcast. SoundCloud is an audio file hosting service that some podcasters already use to host their files. Internet Archive lets you host both audio and video files. Each of these three services have some minor differences, but they serve the same purpose if you’re interested in getting free audiobooks out there. If money is no object, and you don’t feel like dealing with ACX, then posting your books on any of these platforms for free may work well at finding new audiophile readers. Let’s say you want to be on ACX but you’re in a country that doesn’t allow for it. eBookIt is an ebook and audiobook aggregation service that lets you submit your book to get it on ACX no matter what country you reside in. It’s kind of like Draft2Digital for audiobooks. 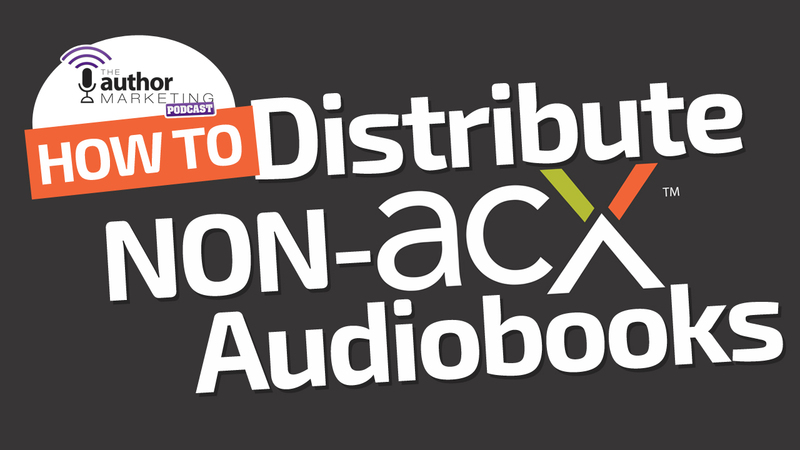 ACX is expanding as fast as the audiobook industry itself. Since eBookIt takes a fee for every sale, it may be worth waiting until Audible opens up in your country. If you can’t wait, and you want your book on ACX now, then eBookIt is a good way to make it happen when you’re outside the US or the UK. When you sign an exclusive seven-year contract with ACX, one of the things you miss out on is the ability sell your book direct. Using a service like iAmplify or any other file hosting provider will allow you to sell direct if you went the non-exclusive route yourself. Similar to the problem with self-hosted Kindle books, there isn’t a great way to make your direct audiobook files convenient for readers. Until someone gets over this hurdle with more convenient software for open source audiobooks, selling direct may not pay dividends for quite some time. Currently, there aren’t many choices that top what you can get from ACX. You can try to cobble things together using some of the other services, but the best deal still lies with the 900-pound gorilla in the room. While the next few years may bring massive changes growing audiobook market, the best self-publishing option remains the Amazon standby. Keep an ear to the railroad tracks on this one, because the next great innovation in self-publishing is likely to disrupt the audiobook industry.